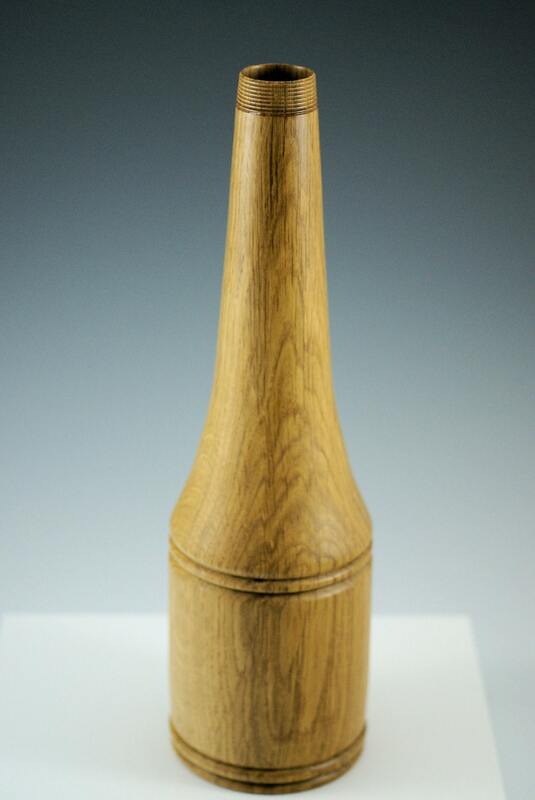 Wooden Vase hand made from Oak to look like a screw lidded bottle. It will hold a dried arrangement or just stand by itself and look great. 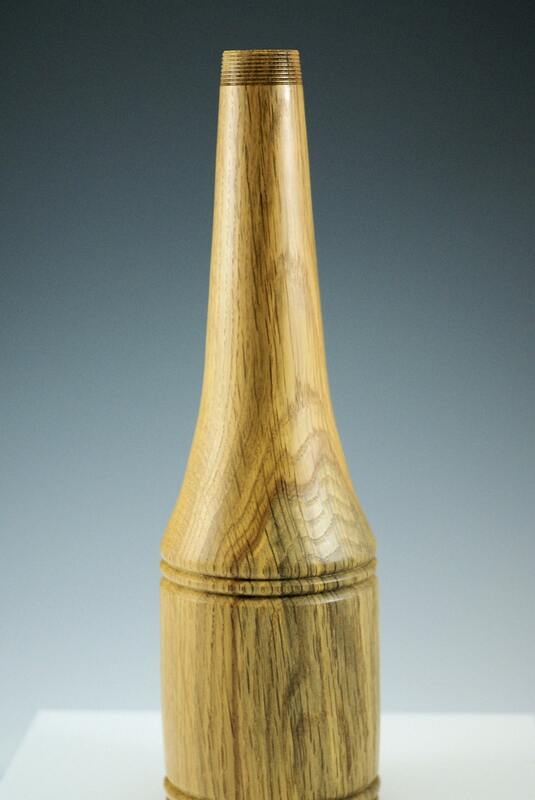 It is 3 1/2" in diameter and 12" tall and finished with Walnut Oil and Carnuba Wax. It is not designed to hold water but will hold an appropriated sized test tube if you would like to hold a fresh rose.